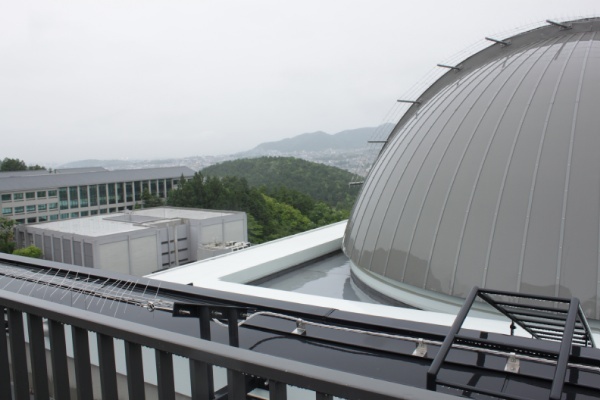 We performed optical low-dispersion spectroscopy (range 400-750nm; R~600@H-alpha) of a new variable star OT J210950.5+134840(*) on May 25.67UT using 1.3m Araki-telescope with LOSA/F2. 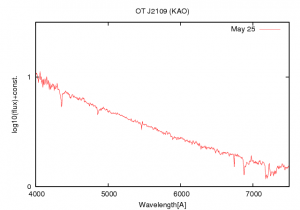 Our spectum shows a blue continuum with H_beta and H_gamma absorptions with no significant blue-shifts. 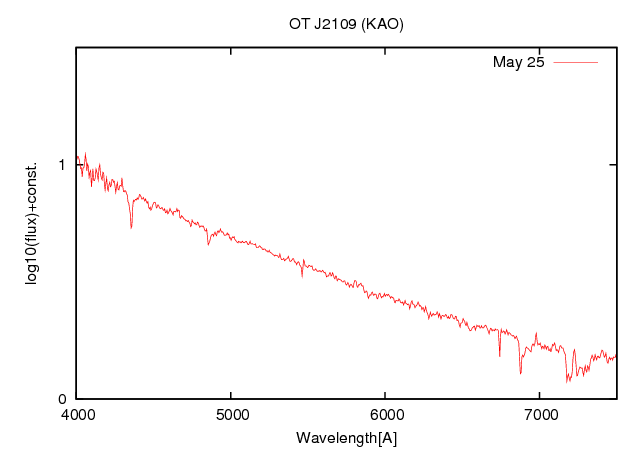 No obvious line is visible at the H_alpha wavelength. This suggests that an emission component of H_alpha could be filling in the absorption line. 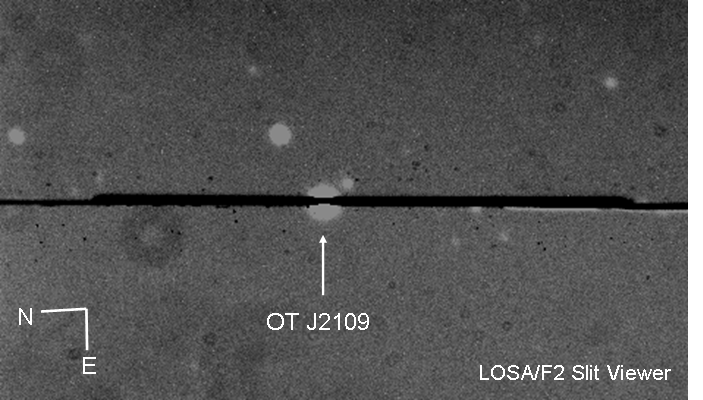 Our result suggests that the object would be a dwarf nova in outburst. 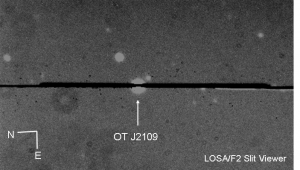 (*) OT J210950.5+134840 was discovered by K. Itagaki on 2011 May 24.